This is a one in a series of charms I've made in both sterling silver and antique bronze that are 1.8cm long. This one is of Nefertiti, the famous queen of Egypt. I've made this one in antique bronze which is 90% copper and 10% tin. 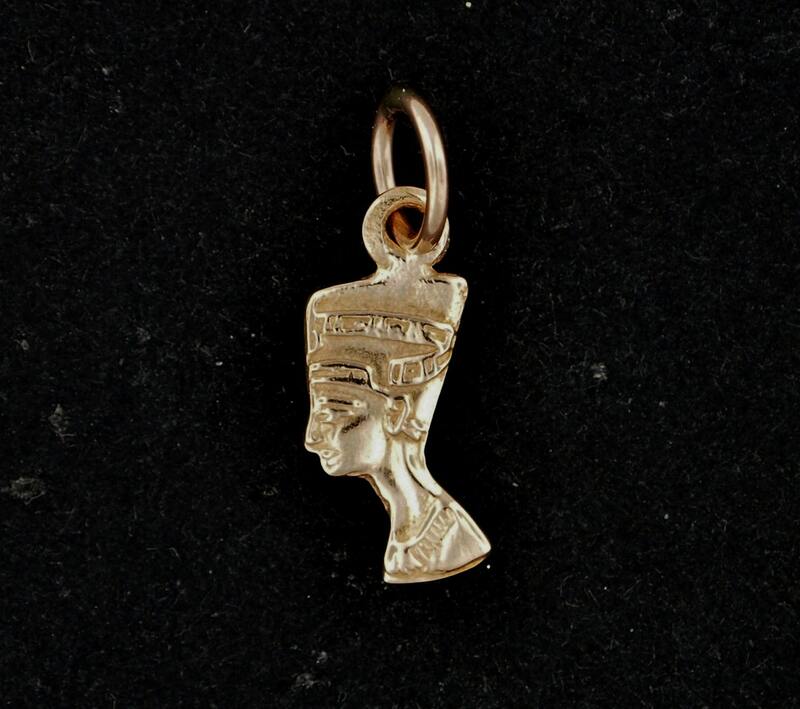 The original charms came from Egypt but were in base metal and could not be worn by a client due to allergies. I made a mold of each one then made them in gold for my client. I was given permission to then use them for stock. Nefertiti (ca. 1370 BC – ca. 1330 BC) was the Great Royal Wife (chief consort) of the Egyptian Pharaoh Akhenaten. Nefertiti and her husband were known for a religious revolution, in which they worshiped one god only, Aten, or the sun disc. She was made famous by her bust. A German archaeological team led by Ludwig Borchardt discovered the Nefertiti bust in 1912 in Thutmose's workshop in Amarna, Egypt.